Much of that vast total is being driven by Millennials. Yes, the same Millennials supposedly all about selfishness and selfies. While it’s true that Millennials make up only 11 percent of traditional charitable giving—they make up roughly 33 percent of donations on cause-based crowdfunding sites such as YouCaring. Millennials are a whopping three times more likely than Baby Boomers to donate to a crowdfunding campaign and 70 percent more likely than Gen Xers (the generation between Boomers and Millennials). The reasons are straightforward: Crowdfunding fits when and why Millennials want to give, and is appealing to entrepreneurs who know how to do it right. First, it suits their lifestyle. Eight out of 10 crowdfunding donations are made via mobile—most of them through social networks—combining two technologies that Millennials take to as naturally as breathing. In contrast, a majority of older generations say they still aren’t comfortable donating through a smartphone or social network. Millennials also have distinct preferences for how they want to donate. A study by Blackbaud and Sea Change Research found that Millennials demand two things with their charitable donations: transparency and accountability. With lower disposable incomes than older groups, they want to make sure their hard-earned dollars truly make a difference. Millennials want specifics about the people at the receiving end of the donation chain. Surveys find that many Millennials view charitable organizations as faceless, sprawling entities that amass donations into a giant pool from where they will eventually be doled out to someone whom some bureaucrat deems worthy. Millennials want to know everything about who ends up with the money: their life story, where they live and details about their situation and need. They want to see photos and oftentimes want to hear them tell their own stories via video. 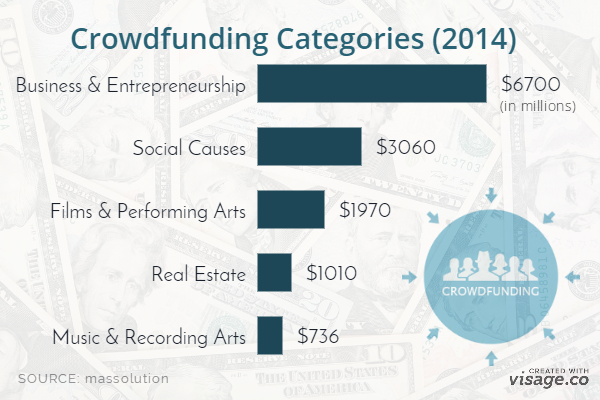 The peer-to-peer nature of crowdfunding more than meets that requirement. Crowdfunding provides reassurance that there’s a real individual at the other end whose story aligns with their own values and desire to help. It might be the first truly interactive charity. In return for your donation, you can then follow the arc of someone’s journey in real-time. You can track payments toward their goal. Updates on that person’s medical condition, pet adoption or volunteer project are shared as readily as any cat meme. It fulfills Millennials’ desire to share something besides selfies. And it lets them assume a role that’s more active than just giving money. Millennials are more likely than any other group to share a fundraiser’s story. And with each social share raising an estimated $37 in donations, according to YouCaring data, all that social media activity helps bring more revolutions of the fundraising wheel. Similar gains in engagement are seen among women, who make up as much as 75 percent of crowdfunding for charitable activity. While the growth of crowdfunding overall has been impressive—40 percent to 50 percent a year—crowdfunding for personal and charitable causes is still in its early stages. Further improvements, especially in areas such as openness and transparency will only accelerate that explosive growth. And while they may not necessarily be the most generous generation, Millennials are largely driving the crowdfunding revolution. And it is rapidly disrupting the trillion- dollar global market for charitable giving by making it more open, democratic, transparent and accessible. Not bad for a generation supposedly all stuck in their parents’ basements. This article was co-authored by Leonard Lee, head of communications for YouCaring, headquartered in San Francisco.